A man asserts himself within the life of an actress he believes is somehow responsible for his son's death. A Psycho-Sexual Study in Murder! An excellent showcase of suspense cinema! The film appears to be so relaxed that at times you may wonder whether you are actually watching a thriller. But that is what makes this film so effective; Chabrol often lets his film settle, but there is always tension bubbling beneath the surface and the film is always intriguing, even when there is little going on. I won't spend too long talking about the acting and production values as obviously both are thoroughly professional and give the film infinite amounts of credibility. Most of the action focuses on the couple inside their big house and this benefits the film greatly as we soon get to know the characters. The central scene is clearly the murder sequence, although again Chabrol focuses on the build up rather than the actual pay off and the murder is as cold and brutal as it was obviously intended to be. 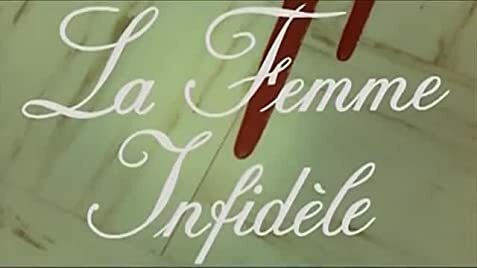 The Unfaithful Wife is clearly a lesson in how suspense cinema should be; even more subtle than Hitchcock, this film manages to be constantly fascinating in spite of the fact that not a great deal transpires over the course of the film, and once again it's another great film on Chabrol's resume!